Request for Donations: Global Hindu Heritage Foundation request you to consider sending donations to continue our fight to release the Hindu Temples from the clutches of government control and pursue all legitimate means to make all Hindus aware of the government’s discriminatory policy toward managing Hindu Temples and denying Hindus the freedom to manage their own Temples. Christians and Muslims enjoy full freedom while similar freedom is denied to Hindus. It is time for Hindus to speak up, and stand up to protect our Temples. “The one God wears many masks. In no other religion does the Supreme Being wear so many masks and invite worship in so many different forms as the eternal religion of Hinduism. Joseph Campbell. GHHF conducted an eight hour seminar to discuss the need to repeal of endowment act in Vishakhapatnam. At that time Sr. Subramanian Swamy suggested that he is confident that the Supreme Court will rule favorably to release the Temples from government control and requested GHHF to start discussing about the ways to manage Hindu Temples by Hindus. Consequently, we have conducted a marathon Brainstorming session on December 9, 2015 in Hyderabad. As many of you are aware that the Global Hindu Heritage Foundation was started with a sole mission to revive our rich Hindu culture heritage by preserving and protecting the Hindu Temples across India. Hindu Temples play vital role in bringing the whole village together through various programs such as conducting festivals, offering Anna Daanam, participating in Satsangs, listening to lectures, encouraging folk cultural events, and numerous other activities. Hindu Temples used to be center of all village activities. By reviving this mindset and giving opportunity to revitalize the Temple culture, GHHF strongly feels the villages and neighborhoods in the cities can be rejuvenated and energized to take pride in our culture to practice and preserve our heritage. Devaalayo Rakshati Rakshitaha – If you protect the Abode of God, it will protect you. Devaalayam is the cornerstone of Hindu religion; backbone of Vasudaiva kutumbam (the whole universe is one family); it was the center of all activities in our villages and neighborhoods. Due to the lack of proper knowledge about the value of our Temples, due to our own ignorance and indifference, and mass exodus of educated youth to the cities and to the foreign countries, villagers have neglected the Temple allowing to dilapidation. After many years of living in big cities and foreign countries, it is shocking and stunning to see our Temples in near total neglect in many villages. We all fondly remember going to Temples with our mothers, doing Archanas, smelling the agarabathi, receiving Sadagopuram, listening to the Bhajans, going around the Temple doing pradakshana, playing with friends, eating Mahaprasadam, and celebrate countless festivals. Now things have changed; our Temples are experiencing the benign neglect. Many of these Temples are in dire need of repairs and renovations. NRIs and the City dwellers have added responsibility to restore the richness of our Temple culture, and try to bring back the glory of “That Temple” we all fondly remember and reminisce. We all have to be part of this movement to nourish the roots of Temple culture and nurture the righteous conduct. It is by releasing these Hindu Temples from the clutches of the government control, we should be able to revive our Sanskrit language, expand the literary field, enlarge the philosophy, revitalize Hinduism, renovate all the historical Hindu Temples, revive our ethical compass, emphasize the moral conduct, revise the school curriculum, introduce wide variety of course on Hindu Dharma, propagate Yoga and meditation, expand the support for Temple architecture, develop bhajan Mandals, restart Annadana schemes in all Temples, maintain Gaushalas, end discrimination to enter the Temples, perform all the festivals with more gusto and zest, recommit to bring back the glory and grandeur of our Sanatana dharma, and revive the true Vasudaivakutumbam where no Hindu is discriminated. Listed below are two sections of the activities of GHHF in the year 2015. We have to believe in ourselves to defend our dharma. Hindus cannot be denied of their freedom. We need to emphasize the need to build a will between religion and government. We cannot be silent spectators allow the secular government to usurp our rights and loot our Hindu money. Your generous donation is invaluable to continue our efforts to free Hindu Temples from government control, awaken the Hindus about the plight of Hindu Temples and the impending danger of illegal conversion techniques. We are requesting all the individuals and organizations to support financially to continue our movement to free Hindu Temples from the government control and stop these conversions. Let us remember the words of Anne Besant: “Make no mistake, without Hinduism, India has no future. Hinduism is the soil in to which India's roots are stuck and torn out of that she will inevitably wither as a tree torn out from its place. And if Hindus do not maintain Hinduism, who shall save it? If India's own children do not cling to her faith, who shall guard it. India alone can save India and India and Hinduism are one. January 13 Attended a play in honor of Dr. Rama Chatla Sriramulu, the renowned actor and famous Director of many dramas. January 14 Attended the release of Shiridi Saibaba CD. The songs were sung by Dr. Ghazal Srinivas and written by Sri Manaasri. Met the main people responsible for the production of Saibaba Mahatyam that was released in 1985. Actor Vijaya Chandra, Producer Gogineni Prasad, Director K. Vasu and Writer and screenplay Thotapalli Madhu. Spoke on the essence of Guru Tattva. February 1 -5 Participate in a five-day 5th International Conference of Elders of Ancient Cultures and Traditions. The conference was hosted by the International Centre for Cultural Studies (ICCS). Delegates representing over 70 ancient cultures and traditions from 40 countries across the globe participating in the conference that was held at Avadhuta Datta Peetham in Mysore, Karnataka. March 17 Dr. Ghazal Srinivas went to the Sreepeetham of Swami Paripoornananda of Kakinada to attend Mahasivaratri and screed several Short Films that were shown in August 2014. As you may recall GHHF received more than 140 short films at our request to highlight the richness of Hindu Temples. May 23 Following people were given Sanatana Dharma Excellency Awards for their service to the community by GHHF in Denver by Dr. Ghazal Srinivas. Manu Raval., IAS, Author of "commentary on Patanjali Yoga Sutra"
Five consolation prizes: Rs 5,000 each. August 14 Committee consisting of Sri D S Dixit, Founder Andhra Pradesh Theater, Sri Sirasri, Poet & Lyricist, Sri Thotapalli Venkata Ramana, Cinematographer and Dr.Ghazal Srinivas announced the names of the winners in the Photography contest. August 27 Arranged "Meet and Greet" luncheon speech with Dr. Subramanian Swamy for The Overseas Friends of the Bharatiya Janata Party (OFBJP-USA) Dallas Chapter from 11 am till 2:30 pm cst at the Saffron House in Addison, TX. August 27 Organized a speech on “Promises made by Narendra Modi! Will he be successful in meeting the challenges?” by Dr. Subramanian Swamy at Bawarchi Restaurant, 8201 Ohio Drive, Plano, TX 75024. 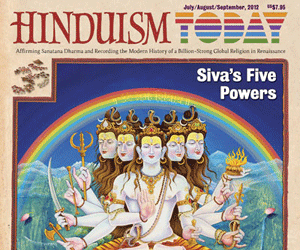 September 16 Hindu Jewish Coalition invited Sri Tapan Ghosh to speak at Entrepreneurial meeting held at The Pind Restaurant, 4591 Route 27, Kingston, NJ 08528. Godavari Pushkara Photo competition. It was organized in Prasad Labs in Hyderabad. Consolation Prize Winners: Sri Kumaraswamy from Karimnagar; Sri V K R Sharma from Nedunuru; Sri S Ramababu from Rajahmundry; Sri Nallamalla Subhash from Eluru; and Sri Babu Rao from Secunderabad. October 6th Handed over Rs 5 lakh check to Sri Kameswara Sastry of Sri Sharada Peetham for a cottage which is being built in Varanasi on the banks of Ganga River. The cottage will be named as GHHF Cottage. October 10th GHHF organized the Seminar on the Repeal of Endowment Act in Y S R Murthy Auditorium in Andhra University in Vishakhapatnam. GHHF organized a Walkathon to protect the COW on the Beach road in the morning around 6:30am. Dr. Subramanian Swamy, Swami Swaroopananda Saraswathi of Sri Sharada Peetham of Vishakhapatnam participated in the Walkathon. Several hundreds of people participated in the walkathon. By 10:00am GHHF started the Seminar. More than ten speakers participated in the discussion on the repeal of Endowment Act. Dr. Subramanian Swamy, Sri Swami Swaroopanandendra Saraswathi, Dr. Ghazal Srinivas, Dr. Prakasarao Velagapudi, Sri Ramakrishna Babu Velagapudi MLA, Sri P. Vishnu Kumar Raju, MLA, Sri Sudhish Rambhatla, BJP Leader, Sri Srinivasa Bharati, Swami of Uttar Andhra, Sadhu Sanths and others also spoke on the occasion. T R Ramesh from Temple Worshippers Society of Chennai, Sri C S Rangarajan of Chilukuri Temple, Sri Venkateswarlu Vabilisetti of VHP, Dr. Vijayagopal of RSS, and others spoke on their activities. October 28 – Nov 20 Went to Vijayawada with the news that my brother, V V Krishna Rao, was hospitalized with multiple health problems. Saw him in very critical condition. He passed away on 10th. Completed the 11th day function and I returned to Hyderabad on 20th. November 23th Visited the house of Endowment Minister, Honorable P Manikyala Rao to submit a letter requesting him to declare Gopuja Day on every Krishnajanmashtami by all the Temple in AP. We will also request Telangana State to do the same. We are invited to attend “Dharmic Sadassu” being organized by TTD in Tirupati on December 2nd. More than 40 Swamijis and Peethadhipathis are invited to participate and discuss the issues affecting the Hinduism. Sri. Prasad Yalamanchi and Prakasarao Velagapudi were invited as Special Guests in recognition of our GHHF activities. December 3 Sri Chadalawada Krishna Murthy Garu, Chairman of TTD was gracious enough to invite us to discuss our concerns about TTD. As you know, he visited Dallas along with Joint EO Sri P Bhaskar during the time of Srinivasa Kalyanam on July 12 organized by Sanatana Dharma Foundation. We will be meeting Sri Bhaskar, Trustee Sri Bhanuprakash Reddy (know him personally for the last 5 years) and EO Dr. D. Sambasiva Rao. December 5 &6 Prasad Yalamanchi and Prakasarao Velagapudi attended Virat Hindusthan Sangam training near Vijayawada. Both of us spoke on the greatness of Hinduism and the need for repeal of Endowment Act. December 8 Contributed 81,000 rupees to Sri Rikkala Gopala Reddy to Karya Siddhi Hanuman Temple, Yellagiri, Mondal Chowtuppal, Nalgonda District, Telangana. Donated 25, 000 rupees to Goshala run by Sri Ganapathy Sachchidananda Avadhuta Datta Peetham Trust. Dr. Swamy suggested in Vishakhapatnam that we should concentrate on discussing about the Management of Hindu Temples by Hindus. GHHF and Bhaarat Today hosted Brainstorming Session on the Management of Hindu Temples. Swami Paripoornananda hosted the event and gave his blessings advising us to pursue our efforts to manage the Hindu temples. Sri P V R K Prasad (IAS), Sri JSV Prasad (IAS) Dr. Arvind Rao (IPS), Sri Soundararajan Ranga Rajan, T R Ramesh from Chennai, Dr. Hanuman Chowdary, Dr. S Raghavendra Prasad, Dr. Ghazal Srinivas, Sri Sudhish Rambhatla, Sri Govind Hari, K. Ramakrishna, Nandini Velagapudi, R V V Krishna Rao, Ratnakar Pullangari, and others attended. Prasad Yalamanchi, Prakasarao Velagapudi and Nandini Velagapudi attended Gauraksha Diwas (Puja to Gaumata) performed by Swami Paripoornananda at Bhagyanagar Gauseva Sadan at Lower Tank Bund Road in Secunderabad. 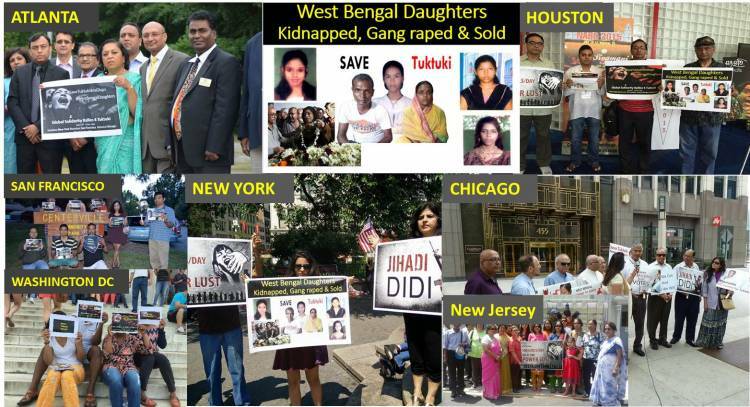 GHHF activists from USA has taken up the cause of horrendous situation in West Bengal with increasing violence against Hindus in areas with majority Muslims and even where Hindus are majority in about 32,000 villages across West Bengal. We worked very closely with Hindu Samhati West Bengal. There were 34 cases of major violence of riots, murders with daily incidents and estimated 100 girls are kidnapped and girls as young as 11 are lured and taken and sold to different parts of the country as well as in Middle East. The tragic situation is reflected in Sona Gachi, Kolkata which is the biggest red light district in Asia and which also serves as transit point for transporting girls. This area has about 16,000 girls with 11,000 children of these girls. The situation came to fore when a father of a 14 year old girl in village Mograhat, in 24 Parganas running from pillar to post, from State bodies to Chief Minister to PM to recover his daughter from her Muslim captors. His passionate letter on how his daughter was raped and kidnapped twice, once right from their home. This lead to a movement both around the world in India that resulted in great awareness of the issue and restoring of the girl from her captors. In July this year rallies were held in several towns in US such as New York, Delaware, Houston, California, Chicago and the news about rallies became a sensation on social media with Twitter trending topmost in India and in sixth place in USA. This forced the media in India to pay attention to the issue and national media in India took up the cause. It also prompted rallies/protests in Kolkata and state Opposition party leader visited the girl’s village and met parents. Finally, the National Commission for Women Chairwoman Ms. Kumaramangalam visit the Hindu Samhati office in Kolkata, visited the rehabilitated place, as well as the village of the girl in West Bengal. Finally, Hindu Samhati worked with High Court and ensured Police recover the girl and restored to her parents. Around the same time, West Bengal Chief Minister Mamata Banerjee visited UK for investments in West Bengal. GHHF worked closely with Organizations in UK to hold protest and issue a letter approved by 250 Dharmic Organizations in UK that West Bengal CM need to address the deteriorating situation of Hindus in West Bengal. Teams were working with lawyers to get Chief Minister Mamata Banerjee arrested for crimes against humanity, which lead to the CM cutting short her trip in UK. In US, both in New York Hindu Unity Day attended by nearly 1000 people and at Dharma Conference, a presentation of the West Bengal issue was made to bring to attention the gravity of the problem and the progress made by GHHF working with Hindu Samhati. We organized a tour of Tapan Ghosh of Hindu Samhati across different cities in USA, New Jersey, New York, Chicago, Dallas, Houston, California where he highlighted the issue of West Bengal Hindus along with Hindu Samhati efforts. There were fund raisers to help fund the causes of Bengali Hindus. With 28,000 cases of kidnapping in 2010 alone according to the United Nations, The Indian Central Government for the first time took efforts, arranged a conference to save the kidnapped children and has already saved around 19,000 kidnapped children across India. Photography Award Function was held on October 4 in Hyderabad. Winners we recognized and honored. 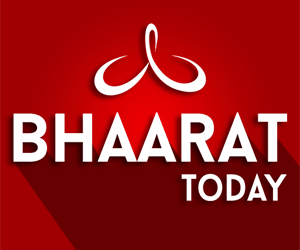 Intolerant Intellectuals belittling Bharath; Why this sudden outburst? Suffering from Secular Syndrome? Part 2. Rampant Christian deceptive conversion of Hindus: Recommendations to Stop Conversions and start reconversions Part 2(To be Published 24).